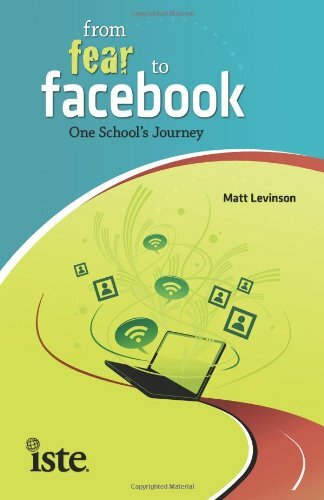 Matt Levinson author of From Fear to Facebook will be opening the conference breakout sessions with his keynote address on May 20th at 8:00pm EST. His book has received raved reviews and is a wonderful guide/story on all the complexities of trying to integrate 21st century technology into the traditional schooling experience. In 2007 Matt Levinson moved from New Jersey to California to start a 1-to-1 laptop program at the Nueva School, confident that his knowledge of technology would help him accomplish this goal. He never imagined the challenges he and Nueva would face. So that other schools and educators can learn from Nueva’s lessons, Levinson shares his experience integrating a laptop program and how teachers, students, and parents discovered, dealt with, and overcame challenges. Honesty and insightful anecdotes make this an indispensible guide for everyone looking for a path away from fear and into the future of education. Do not miss this talk!!!! Register FREE today!